Luis Enrique proves how proactive a coach he is during every Barça training session and match. Since his arrival, the Asturian has been keen to take part and is a dynamic force in the squad. The manager shows us how it's done during training at the Ciutat Esportiva Joan Gamper. Barça's coach is all action as he gives instructions to his players, jokes with the coaching team and corrects anything which isn't quite right. His style and attention to detail can be seen in this video from last week showing the team working on closing down, bringing the ball out from the back and creating space. 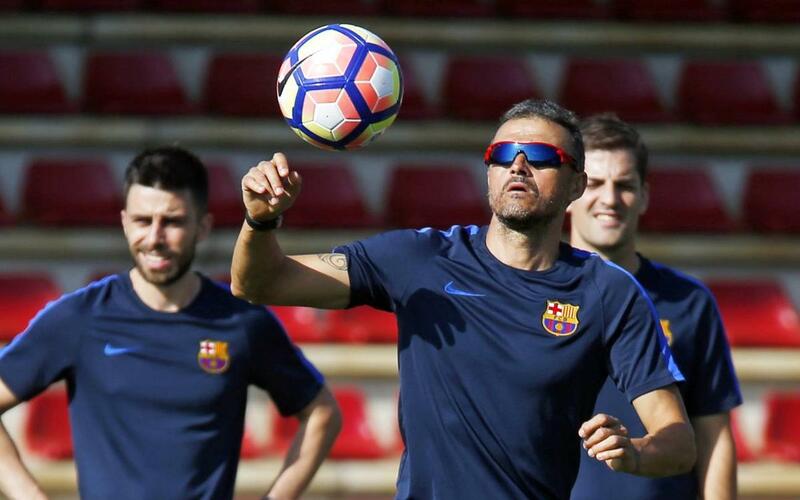 Luis Enrique talks to his squad throughout, from his most experienced players, like Piqué and Rakitic, to new boys André Gomes and Paco Alcácer. Barça's first-team is in safe hands as they look to win more titles and improve their game under their passionate and motivated coach.